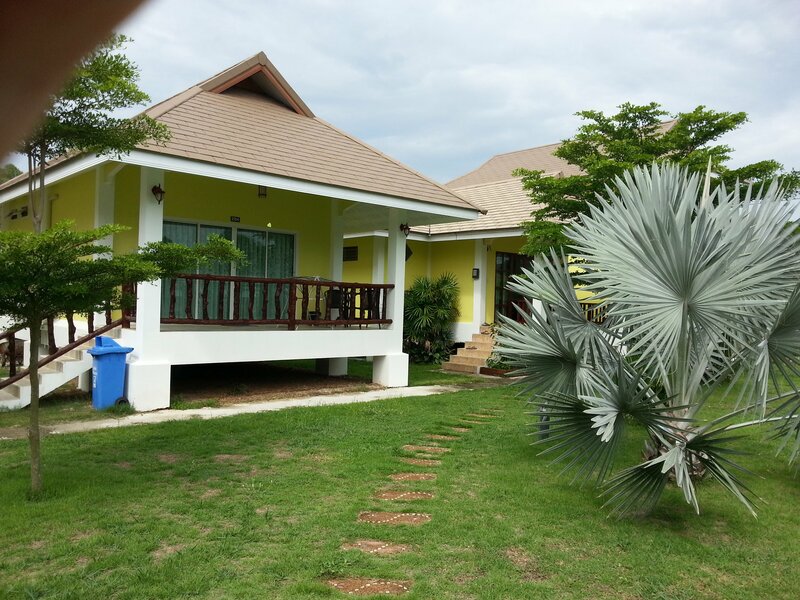 The Thipburee Resort in Sichon is a pleasant, relaxed, and very cheap resort. It is also less than 50 metres walk from Sichon beach. During our stay we found nothing whatsoever with which we were not happy. The owners were very helpful, particularly as we travelled there without our own car. 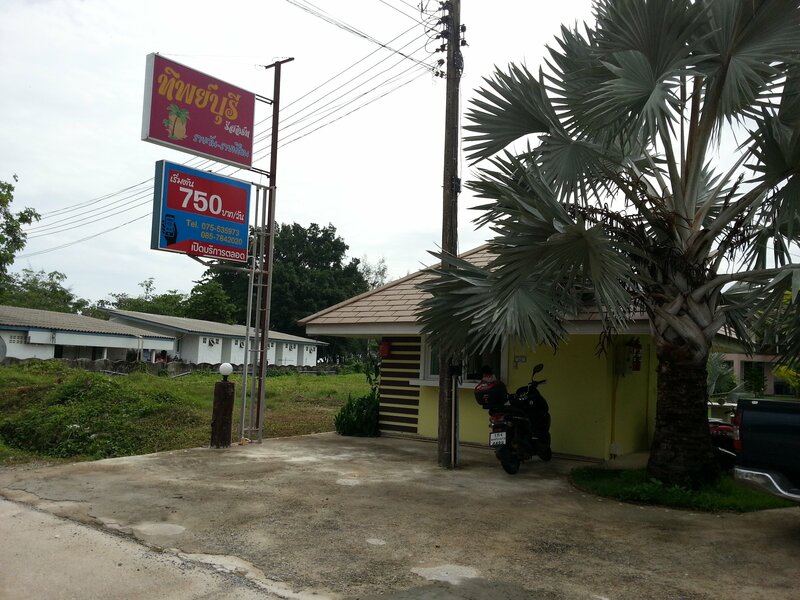 Sichon town has a bus station and motorbike taxis. Beyond that Sichon currently has no public transport. Sichon beach is some 4 km from Sichon town. The owners solved our transport difficulties by providing us with a car to take us into Sichon for shopping and a cheap deal on a car and driver to take us to Donsak ferry pier, a 50 minute journey from the Thipburee resort. The standard rooms, which have one double bed, are located within a one storey accommodation block with walls separating the balcony areas in front of the individual rooms. The next room type is detached bungalows with a double bed and single bed suitable for families with 1 child. The largest rooms are situated in two storey houses. These rooms have two queen sized beds and a small kitchen area. The owners told me that they will rent out these large rooms at 10,000 THB per month, with bills for electric and water charged separately. The month long rentals cannot currently be booked online so if you are interested call them on +66 (0) 75-535973 or +66 (0) 85-7842020. The owner speaks excellent English, as well as Thai and German. 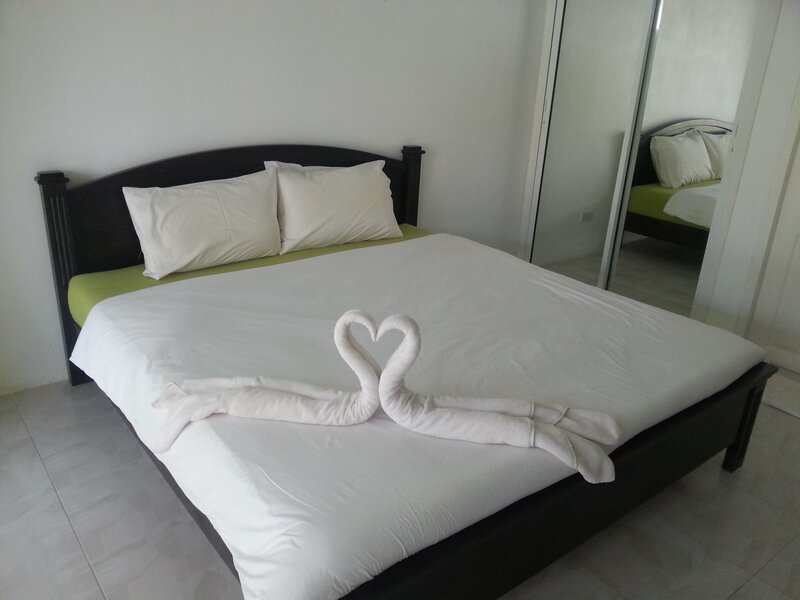 The rooms are all decorated and maintained to the same high standard. 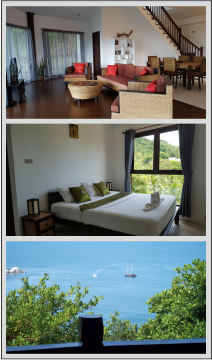 This is a new resort and the rooms are in immaculate condition. The rooms have large glass sliding doors with equally large curtains to draw across for privacy. The beds are comfortable with clean sheets. The room have both fan and air-conditioning, as well as reasonably fast free WiFi and large TVs. The bathrooms are large and nicely tiled. I liked the heat and water pressure in the shower as well as the soap and shampoo dispensers. The only thing that was missing was English language TV channels. This said, Sichon beach is yet to catch on with foreign visitors in a big way and it would make little sense for the owners to pay for the more expensive English language package when most of the customers (for the moment) are Thai language skills. This is a good resort to stay at if you travelling on the major road running from Malaysia up to Bangkok, or you are planning a weekend break at the beach in the Surat Thani or Nakhon Si Thammarat areas. It would be a good base for visiting the Nakhon Si Thammarat National Museum or Wat Phra Mahathat, one of the most important Buddhist Temples in Thailand. The resort does not currently have its own restaurant but there are four restaurants very close by on Sichon Beach.